The Pittsburgh Steelers have always been known for their stellar defense and in the middle of those defenses were exceptional linebackers: Jack Lambert, Jack Ham, Greg Lloyd, James Farrior, Joey Porter. In recent years, the Steelers have spent a couple first round draft choices trying to find their next star in the middle. Ryan Shazier looked to be one of them before suffering a scary injury. If Shazier is ever brave enough to step on a football field, there’s no guarantee he’ll ever be the same. He was one of the fastest linebackers I’d seen in quite a while and showed enough promise that he deserved a nod on this list. Bud Dupree has yet to do anything spectacular for me, although he did kill a guy in a playoff game. Rest in peace, Matt Moore. T.J. Watt, brother of infamous J.J. Watt, had a promising rookie season, though I’d like to see more before taking his jersey under serious consideration. As good as T.J. was this year, he was not the rookie that impressed me the most. USC product JuJu Smith-Schuster has big play ability and is an absolute blast of entertainment. He’s had quite a few enjoyable touchdown celebrations and has become a town favorite, interacting with fans in the heart of the city and creating his own YouTube platform. His Twitter is hilarious (if you don’t follow him, strongly recommend) and as the youngest player in the NFL, he reminds us how fun football is supposed to be. He’s still a kid but carries himself well, something I hold a lot of respect for. I’ve never purchased a rookie jersey. I often wait to see how an athlete’s career progresses before I fully get behind them but JuJu has a lot of character. It’s easy to want to root for someone like that. There is one other linebacker we haven’t discussed yet. While his tenure with the Steelers is likely over, James Harrison was on the Steelers roster in 2017. Harrison has become one of the greatest undrafted athletes to ever play professional football. He won Defensive Player of the Year in 2008, the first undrafted player to ever win DPOY. That season he registered 101 tackles and a franchise-record 16 sacks, though his most memorable play of the year didn’t come until the postseason. He built a reputation for an incredible motor, his workout regimen and disciplinary issues. During his career, Harrison accrued hundreds of thousands in fines for helmet to helmet shots and late hits. Despite it, Harrison was a Pittsburgh favorite because like the Grim Reaper or the Terminator, Harrison was a bad man on the turf, one that could be truly terrorizing. People loved him for it. In addition to five Pro Bowls and two Super Bowl rings, Harrison also owns the franchise sack record. He’s been on the decline these last few years but his legacy is one worth remembering. Sometimes you buy a jersey for what that player is then. Sometimes you buy a jersey for what that player was and James Harrison was one of the best edge rushers in the NFL for a time. Of all the players on the Pittsburgh defense the last few seasons, one player has more value than any other. Cam Heyward, since entering the league out of Ohio State, has been a regular figurehead for the black and gold. In four full seasons as a starter, Heyward has recorded 31.5 sacks, including 12 this past season, earning him his first Pro Bowl nod. The Steelers also have the killer B’s to consider: Ben Roethlisberger, Le’Veon Bell and Antonio Brown. Bell is a literal bell cow for Pittsburgh. He’s a playmaker in the backfield and his patient style of running paired with superior field vision leads to quite the highlight reel. At times, he looks like the best back in the NFL. He might be. He has a unique style that analysts can’t help but gush over and his versatility is one of his greatest assets. He also has off the field issues, such as drug suspensions and talking about getting a new max contract or retiring hours before a playoff game, to pair with a history of season-ending knee injuries. He values himself at 15 million a year, more than twice what the current highest-paid running back makes (LeSean McCoy had the highest cap hit among tailbacks in 2018 at 8.9. DeMarco Murray had the highest base salary at 6.25) and yet he reportedly turned down a two-year, $30 million contract extension last year. He also turned down a three-year, $43 million offer. Given his injuries and disciplinary history, 13-15 million a year is a boatfull for Bell, but Bell thinks he’s worth quarterback money, an offer no team in the NFL will pay him. That isn’t what the market is for running backs. Devonta Freeman’s new contract came with a base salary of 8.25. Between Bell’s irrational contract demands and a propensity for poor decision making off the field, I have a hard time picking that jersey. As talented as he is, I will be thrilled when he’s out of Pittsburgh. Antonio Brown, a sixth-round selection out of Central Michigan, is a straight-up superstar. He’s one of the fastest receivers I’ve ever seen and has the field vision of a returner. Asking any corner to execute man coverage against him is simply unfair. The best in the game struggle with Antonio. Sometimes double coverage even looks insufficient. He’s the best route runner in the league, makes crisp cuts and has the elusiveness of a Barry Sanders. He’s had more than 100 receptions in each of the last five years and a minimum 1,284 yards in all five as well. In 2015, Brown caught 136 passes, the second most receptions in a single season behind Marvin Harrison’s 143 in 2002. He’s currently the highest-paid receiver in the NFL and he should be. He’s on pace to surpass Lynn Swann, John Stallworth and Hines Ward as the best receiver in Steelers history and routinely accomplishes athletic feats that leave you questioning if you should be in awe or shock. For much of 2017, Brown was in the running for MVP. Finally, Big Ben Roethlisberger has made a career in the black and gold and will likely get a chance to pair that with a trip to Canton. Over the years, gridiron fans have gotten to see a player evolve. Early in his career, Ben took a lot of punishment but also had the ability to shuck some of those sacks and extend plays. Following that turn came the age of a vertical offense with Bruce Arians, exploiting the advantage that is Ben’s deep ball. Over these last few years, we’ve gotten to see Ben settle into a pocket passer role. Watching him evolve and progress through each stage of his career has been something. He’s likely better than Terry Bradshaw, making him the greatest center man in the franchise’s history. He’s had some moments that will live on in football lore, like this and this. However, Roethlisberger was accused multiple times of sexual assault early in his career, something I can’t ignore. James Harrison would be a great pick. He personifies the grit and toughness of Steelers football. I really am a big fan of JuJu these days. What a kid. That said, the choice is easy. Antonio Brown is one of the most talented athletes I’ve ever witnessed and has always been a privilege to behold. Teammates constantly describe him as the hardest worker on the team. He’s a true competitor first. When he does stuff like this, it’s hard not to get hyped. At his current pace, it’s likely we’re watching a Hall of Fame player. He’s got charisma, flair and a great sense of humor. He loves the camera and can’t help but be theatrical in front of it. He plays the game like a kid. He’s having fun and it’s impossible for me not to want to sign up for that. My pick: Antonio Brown. My jersey: Home Black. 1. Eight RBs had over 100 yards this week, five over 150 and two over 200. Also, Wisconsin’s Melvin Gordon set the NCAA record for rushing yards in a single game (408), proving the point he’s been trying to make all year: running backs still matter. Evans (21) is the youngest player ever to have a 200-yard receiving game and the first rookie with seven catches for 100 yards and a TD in three straight games. 1. Steelers’ safety Mike Mitchell goes ballistic on Twitter. I wrote a post about this. Overall, the Steelers’ performance on Monday night was frustrating. The offensive fluidity fans had seen just a few weeks ago was gone. The team looked uncoordinated and unorganized. The fact that the Steelers had to come back to win this game was exactly the opposite of what Steelers nation wanted to see on Monday. They, like myself, wanted to see a dominant win against a struggling team. Instead, the Steelers gave the Titans boatloads of confidence going into their next game, while Tomlin needs to start re-evaluating the team depth chart and playbook. Le’Veon Bell and the offensive line were excellent during the second half but against the Titans front seven I think it’s important not to give them too much credit. The fact that Bell ran for over 200 yards and we still almost lost is pretty sad. This bye week could not be more well-timed. They need a break to recuperate some players but they also need to silent these off-the-field issues immediately. Mitchell’s tirade was a catastrophe on so many levels and I’m very happy they cut Blount almost instantaneously, but his actions need to be a reminder to the whole team that this is a team effort and if you’re not happy with your role, then get off the field. Game of the Week: Dolphins @ Broncos. I have the Broncos for this game but the Dolphins are surging and looking like a top-ten team right now. Their defense is excellent as I expected and if it weren’t for the lack of play-makers on offense, this team could probably threaten New England. It’s important Denver get’s back on the right track after dropping two of their last three. Expect a close one and don’t be surprised if an upset occurs. First QB in NFL history to throw for six touchdowns in consecutive weeks. Sets record for touchdown passes in consecutive games (12). Most fantasy points by a quarterback in back-to-back weeks (79). Here are some fun stats: Ben Roethlisberger is second in passing yards (2,720) and completion percentage (68.3) this year. He’s also third in touchdowns (22) and QBR (110.6) and fourth in yards per game (302). 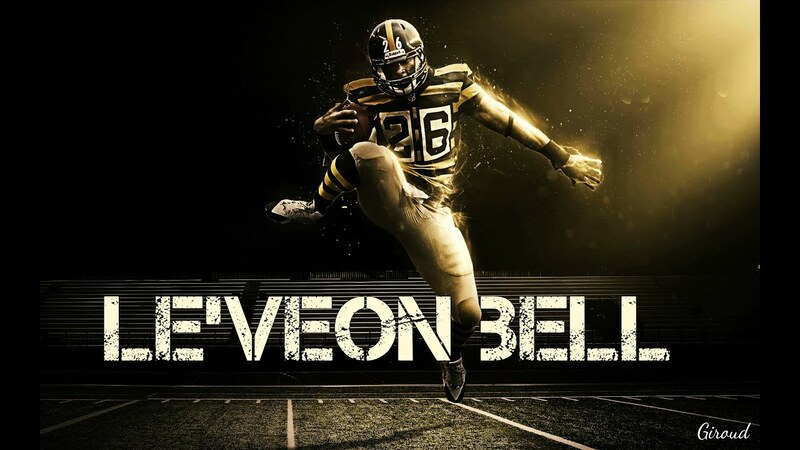 Le’Veon Bell is third in rushing yards (711) and has 47 receptions for 433 yards, giving him 1,144 all-purpose yards this year, third in the league. Antonio Brown is second in all-purpose yards. That’s correct. Two of the top three players in all-purpose yards play for the Pittsburgh Steelers. Brown leads the league in receptions (71), targets (103), receiving yards (996), and first downs (44). He’s also second in yards per game (110.7) and fourth in catches of 20-plus yards (14). At his current pace, Brown is set to have 1,771 yards, which would be good for fourth in NFL history. Only Calvin Johnson in 2012 (1,964) and Jerry Rice (1,848) and Isaac Bruce (1,781) in 1995 would have more. After going 1-2 during their easiest stretch of the season (L 27-14 vs. TB, W 17-9 @ JAC, L 31-10 @ CLE), the Steelers playoff hopes appeared to be shouldered onto the Week 7 home match-up against the Texans. The Steelers played their best game of the year and won 30-23. “They played great, but there is no way they’ll beat the Colts,” I said. Ben and the Burgh proved me wrong again, winning another superb home game 51-34. To top it all off, the Steelers decimated the Ravens 43-23 to split the season series. If the Steelers beat the Jets on Sunday, they will hold sole possession of first place in the AFC North and the third-seed in the AFC because they beat Indianapolis, the projected winner of the AFC South. Their stat line (4th pass, 12th rush, 20th vs. the pass, 11th vs. the rush) is impressive and they are averaging 27.6 points per game, good for 7th in the league. At this point of the season, not only are the Steelers far better than I expected, they are a solid playoff contender if they continue their current play. If they continue to execute the way they’ve been executing and continue to get consistent pressure on the quarterback, this team should be able to win at least four more games at minimum, especially with the Jets, Titans, Falcons, and struggling Bengals on the schedule. Let’s go Steelers! Cam Newton was pathetic last game and the Eagles have lost Foles for a substantial amount of time. Can *cough* Mark Sanchez *cough* keep the team together or fail as he’s always done when the team’s looking to him to lead? This game will be a good first test for Sanchez. With that said, I think the Eagles are the better team, even if Sanchez falters yet again.